Find prints in a classic nautical style here. Create a stylish atmosphere in your home with light colors and touches of New England influence. 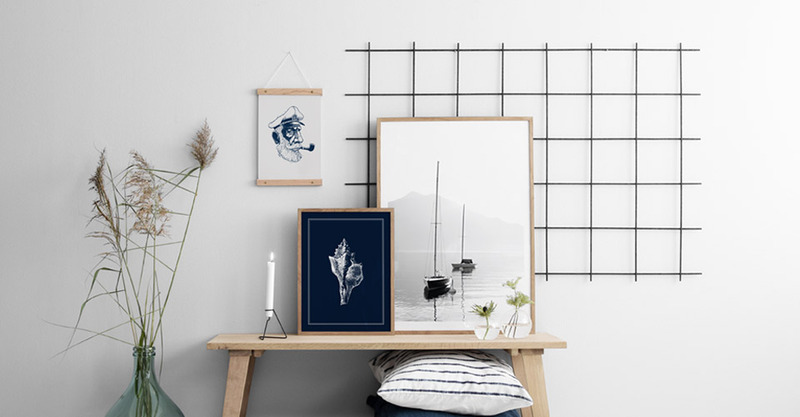 The nautical style’s versatility allows freedom in combining designs tastefully, from sailboats and seamen to anchors, lighthouses and sea poster! Also known as New England or coastal style, you will find classic blue and red, hand-illustrated designs and boat designs featured on our posters and prints here in our Nautical category. A nautical style is equally relevant at home as it is in a summer cottage or vacation home.